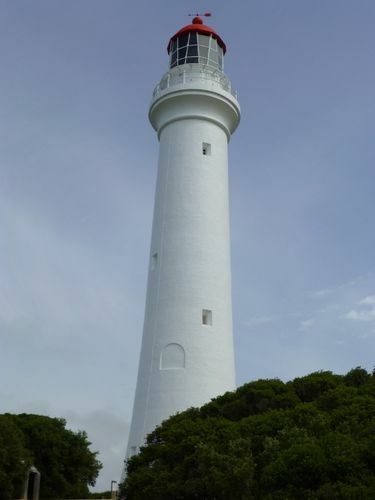 A plaque commemorates the centenary of Split Point Lighthouse and 100 years of dedicated service to the mariner. Originally called Eagles Nest Point, the lighthouse was built in 1891. The cement rendered concrete tower has a Chance Brothers first order lantern and a 920mm focal radius lens. The original light source was vapourised kerosene. When it was taken over by the Commonwealth Government in 1919 the light was converted to acetylene and automated. Conversion to mains electricity took place in 1972.